Denkine is the co-founder and Senior Director at SelfStir Limited (UK). She has over 10 years of experience working for multinational organizations. She began her career in the field of Global Mobility at Motorola, which gave her exposure to many facets of HR. With this experience, Denkine moved to a leadership role within International Human Resources Management in a multi-billion dollar organization, leading the team and managing the movement of over 1,500 members of the organization including executive management, middle management and technical teams across the United States, Europe, Middle East, Africa and parts of Asia. Her role required her to integrate organizational culture and values with processes, policies and systems aligned to her department KPI’s, leading her to focus on organizational design and coaching to successfully achieve initiatives. Her transition into Organizational Development and Coaching was a natural progression which stemmed from the passion to build a highly performant organization, not only from an HR perspective but also from a holistic view of the Organization. Denkine chose to be part of SelfStir in an effort to drive Human Resources to its true fundamentals to reflect a genuine environment of ‘people come first’. 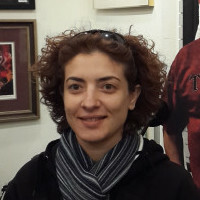 Denkine was born in Tunisia and has lived, studied and worked in over 10 countries across 4 continents. She is fluent in English, French, Arabic and Spanish.